Pepsi has unveiled its newest flavor it's hoping will heat up the beverage aisle. 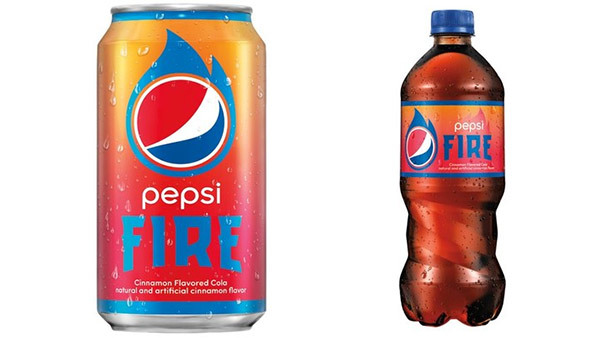 The soda company will launch its limited-edition Pepsi Fire drink beginning May 22. The flavor is described as "refreshing cola with a cinnamon flavored twist." "Summer is one of the most anticipated times of the year, and Pepsi Fire is going to ignite this season with an unexpected and spicy twist to our classic cola taste," Lauren Cohen, Director of Marketing for Pepsi, said in a statement. Pepsi Fire will only be available for an eight-week period, the company says. If you think you may not be able to stand the heat, there's another way to taste this new flavor. A limited edition Pepsi Fire Slurpee drink will be available at participating 7-Eleven stores through the end of June.